Finde dieses Buch bei Amazon.com | buch7.de | eurobuch.com | buchhandel.de | books.google.com ASIN=1571133305, Category: Philosophy, Language: D, cover: HC, pages: 448, year: 2009. 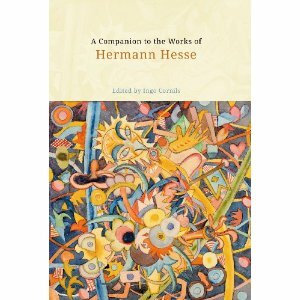 Today, forty years after Timothy Leary's suggestion that hippies read Hermann Hesse while "turning on," Hesse is once again receiving attention: faced with ubiquitous materialism, war, and ecological disaster, we discover that these problems have found universal expression in the works of this master storyteller. Hesse explores perennial themes, from the simple to the transcendental. Because he knows of the awkwardness of adolescence and the pressures exerted on us to conform, his books hold special appeal for young readers and are taught widely. Yet he is equally relevant for older readers, writing about the torment of a psyche in despair, or our fear of the unknown. All these experiences are explored from the perspective of the individual self, for Hesse the repository of the divine and the sole entity to which we are accountable. This volume of new essays sheds light on his major works, including Siddhartha, Der Steppenwolf, and Das Glasperlenspiel, as well as Rohalde, Klingsors letzter Sommer, Klein und Wagner, and the poetry. Another six essays explore Hesse's interest in psychoanalysis, music, and eastern philosophy, the development of his political views, the influence of his painting on his writing, and the relationship between Hesse and Goethe. Contributors: Jefford Vahlbusch, Osman Durrani, Andreas Solbach, Ralph Freedman, Adrian Hsia, Stefan Höppner, Martin Swales, Frederick Lubich, Paul Bishop, Olaf Berwald, Kamakshi Murti, Marco Schickling, Volker Michels, Godela Weiss-Sussex, C. Immo Schneider, Hans-Joachim Hahn. Ingo Cornils is Senior Lecturer in German at the University of Leeds, UK.